So, you are interested in rare candies and wants to enjoy its benefits for your Pokemon? I’ve got your back because in this post I will give you the rare candy cheat code for Pokemon Ruby that works. 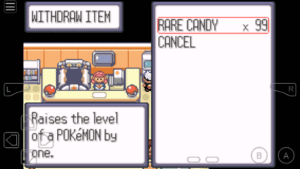 It’s not easy to find rare candy in any Pokemon game. As the name suggests, the item is rare and cannot be easily to obtain. In our collection of Pokemon Ruby Cheats the rare candy is one the most sought after and used cheat. One another advantage, as well as the hidden use of rare candy, is it can revive fainted Pokemon, however, cannot be used during a battle. Leveling up and making your Pokemon stronger takes time, you might get bored as the process is really slow. But, If you are eager to own a competitive Pokemon partner, you might want to use Pokemon Ruby rare candy cheat. Cheating is used just for extra fun only but can be very beneficial. Cheats works best for V1.0 ROMS, so if you have Ruby v1.1 rom the cheat may not work for you. Other known Ruby version that works for cheats is the Ruby (U) (Mugs). For emulators, the cheat works well on My Boy and Visual Boy Advance based upon experience. Activating the rare candy cheat in Ruby is extremely easy, the steps are easy but just don’t get bugged of the glitches you might encounter. Using your favorite GBA emulator, enter the cheat code 280ea266 88a62e5c. 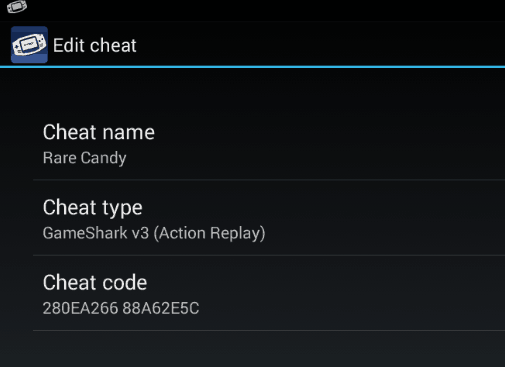 If the cheat type is asked, select GameShark V3 (Action Replay). Head over to PokeCenter and select your PC, open your item storage and withdraw the rare candies. 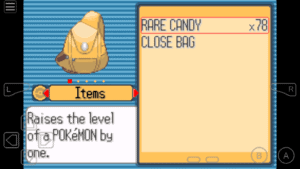 Check your bag to see if the rare candies exist and if it does, you can now start using the candy to your Pokemon to level up. Finally, turn off the cheat after use to avoid future issues such as unknown glitches and random crashing. Cheating in a game can be unethical but not in all situations. Sometimes you need a cheat for advancement and extra fun. Rare candy cheat is very useful, especially in Pokemon Ruby. If you have questions or if you think I missed an important information in the post, post it in the comment form below.